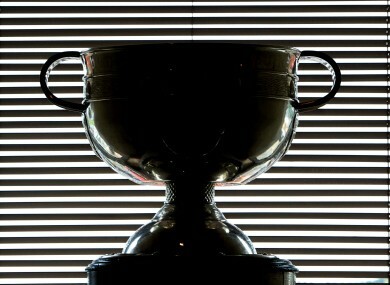 The Sam Maguire trophy. Can Mayo bridge the gap this weekend? WE are all familiar with the well-worn tale of how the Clare hurling heroes of 1995 banished the ‘Curse of Biddy Early’ to the ashes of history. Well another less well known GAA curse may also soon get the bums rush if James Horan’s Mayo can end decades of hurt by beating Donegal in the All-Ireland football final on Sunday. The Heather County has not tasted Sam Maguire glory since 1951, losing in five All Ireland finals, and countless other semi-finals, in the 61 years since they beat Meath to win back-to-back Championships. Many a reason has been proffered as to just why Mayo haven’t been able to get over the finishing line over those six decades. But few are as interesting as the old wives’ tale which states that the county’s football team is operating under a priest’s curse which will only end when all of the 1951 winning team have passed away. Legend has it that the priest in question became incensed when the Mayo team bus passed by a funeral without showing due respect as they celebrated their All-Ireland win. He supposedly cast a spell on Mayo, claiming they would not win another title until all of the team had died. Just five of the team which took to the Croke Park pitch for Mayo in 1951 are still alive today; Mick Mulderrig, Pádraig Carney, Paddy Prendergast, Peter Quinn and John McAndrew. Forward Mick Mulderrig is now 82-years-of-age, and recently had a stent inserted in his heart, but still has no time for the priest’s curse, which he has called “a load of c**p”. He said James Horan’s men will prove it by winning Sam while he is still very much alive and kicking. “This current Mayo can beat Donegal playing the very bright, intelligent football they showed against Dublin in the semi final,” he told TheScore. ”It will be great if they can do it as it will take an awful monkey off our backs. The only thing hampering Mayo down the years has been an awful notion of disappointment, not some curse from a priest. “There isn’t a year when Mayo doesn’t have the makings of an All Ireland winning team within its county borders. But for one reason or another they just haven’t had the belief to go out there and do it. However Mulderrig revealed that the team he played on, which won back-to-back All Irelands in ’50 and ’51, did suffer at the hands of another incident. He said: “In 1951, we didn’t get our Connacht Championship and All Ireland medals straight after winning those finals because they had yet to be inscribed. But for some reason, the Mayo county board at the time decided that they would send us our medals in the post. Email “Curse of '51? No such thing, says star of Mayo's last All-Ireland success”. Feedback on “Curse of '51? No such thing, says star of Mayo's last All-Ireland success”.